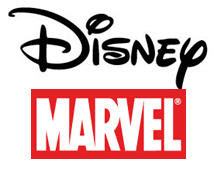 Disney has agreed to purchase Marvel Entertainment including Marvel Films and Marvel's 500o characters for $4 BILLION dollars. It is no suprise that comic books and graphic novels transalate particularly well to the bigscreen as such blockbusters as The Dark Knight, Iron Man, and the Spiderman franchise can attest too. You can read the complete press release here.